On Nirav Modi's Political Asylum, Minister Says "No Concrete Information"
Sources, however, said, senior home ministry officials have met their British counterparts in Delhi last week to discuss Nirav Modi's request for political asylum. Union minister Kiren Rijiju today indicated that the government does not have "concrete information" about Nirav Modi asking UK for political asylum, as reported by international daily Financial Times yesterday. The minister, who met his British counterpart Baroness Susan Williams on Monday, said UK has assured will cooperate with the extradition of celebrity jeweller, who skipped the country after being allegedly involved in in a Rs 11,000 crore bank fraud. Asked about the matter, Mr Rijiju said, "As long as we don't have concrete information, I cannot comment on this". Officials said Nirav Modi has claimed that his business collapsed after the government targetted him and declared his assets as non-performing assets. The UK home department, officials said, will take a call on his plea. Financial Times reported yesterday that Nirav Modi is in London, where his company has a store in the posh Mayfair area, seeking asylum from what he called "political persecution" in India. 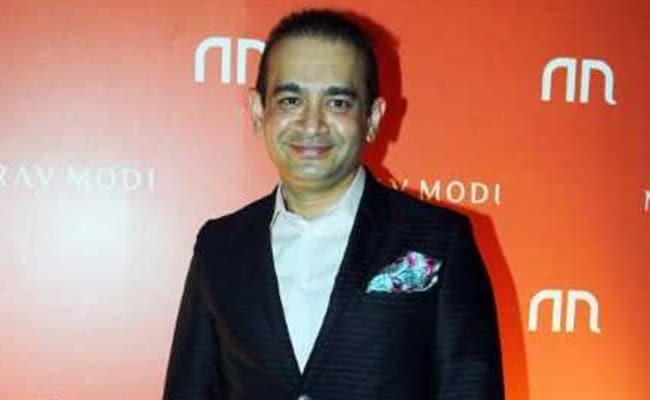 NDTV reported on May 1 that Nirav Modi was attempting to hire a lawyer who could help him get political asylum in the UK. The Central Bureau of Investigation, which is pursuing the case against Nirav Modi, has approached Interpol, seeking a Red Corner Notice - closest to an international arrest warrant -- against Nirav Modi, reported news agency Press Trust of India. The Enforcement Directorate has submitted a 12000-page chargesheet at a lower court in Patiala House courts and sought a non-bailable warrant against him. The agency has also written to the foreign ministry, seeking approval to begin the extradition proceedings. The 48-year-old diamond businessman -- who had figured in the Forbes' list of richest Indians - and his family fled India on January 1, long before the agency could file any case against them. He is currently in London on a Singaporean passport, while his brother Nishal Modi is in Antwerp on a Belgian passport, sources told NDTV. Nirav Modi's sister Purvi Mehta also holds a Belgian passport and is said to be in Hong Kong. Punjab National Bank said its officials at a branch in Mumbai had helped Nirav Modi and others get credit in violation of rules. The fraud was revealed when Nirav Modi's companies sought a fresh loan. In May, the agency filed charges against more than 25 people in the massive fraud case. Nirav Modi and his associate Mehul Choksi, who also fled the country, have denied any wrongdoing.